Loretta Nyhan has worked as a journalist and copywriter, and currently teaches college writing and humanities. She lives in the Chicago area with her husband and family. I’LL BE SEEING YOU is her first novel. 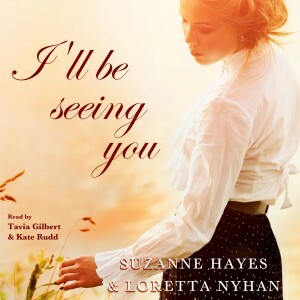 Suzanne Hayes and Loretta Nyhan wrote I’LL BE SEEING YOU together long-distance before they ever met in person!